It’s rare that arts leaders in creative hubs like New York or L.A. will deign to recognize Midwestern arts communities as anything more than the figurative farm teams to the coasts’ major league powerhouses. But recently, a kind of big league general manager—Reynold Levy, the president of Lincoln Center for the Performing Arts in New York City—presented a case that doesn’t just urge, but nearly forces skeptics to notice a Midwestern arts community poised for its national close-up. This city—one whose Crossroads Arts District is a seductive perfume for publications like USA Today and The New York Times—has metamorphosed from pimply teenager into coveted ingenue. But more than just a city boasting an arts district branded as the “Crossroads,” Kansas City is becoming a creative crossroads. Regionally. Nationally.Undeniably. 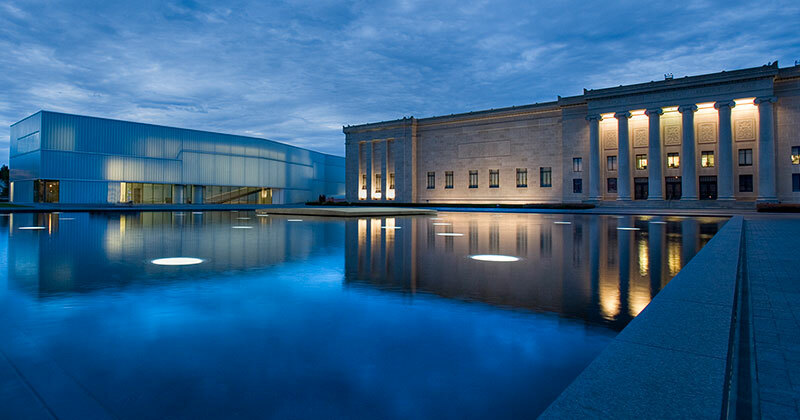 The Nelson-Atkins Museum of Art is a defining institution in Kansas City, acting as a pillar of culture and a beacon for what’s to come in the arts community. The museum, which was crowned “Best U.S. Museum” by Yelp reviewers, boasts an internationally recognized collection both indoor and out, including in the original 1933 Beaux art building, in the bold, contemporary Steven Holl-designed Bloch Building and on the grounds of the 22-acre Donald J. Hall Sculpture Park. If the 1933-built Nelson is the seed of Kansas City’s creative crossroads, the Crossroads Arts District is the bud, and art havens like Blue Gallery—representing fine artists like landscape painter Rich Bowman—are the flower. Blue Gallery is one of dozens of independently owned galleries, retail spaces and design studios centered around 19th Street and Baltimore, the district’s core. Together, they practice, manufacture and promote creativity. On the first Friday of every month, all possible shades of it are on display well into the night. This clockwork event—called First Friday—bears testament to this region’s remarkable appetite for art through the throngs of people who descend upon the neighborhood. Credit an organization like Quixotic Fusion for co-generating that electricity. Whether it’s hanging aerialists from cranes, projecting art installations onto buildings or marrying original music with unique expressions of modern dance, Quixotic is one of this city’s symbols of its intrepid creative renaissance. So is its founder, Anthony Magliano. The Kansas City Symphony is a likely candidate as the envy of the majority of the world’s symphony orchestras. 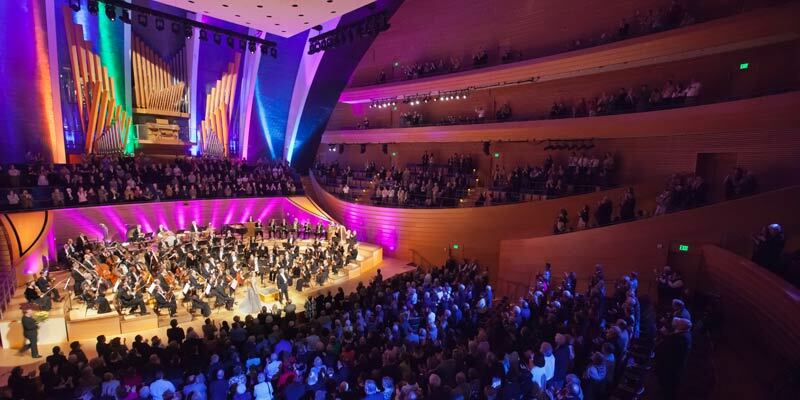 In fall 2011, it moved into its new home, Helzberg Hall, the 1,600-seat performance venue inside the Kauffman Center for the Performing Arts. 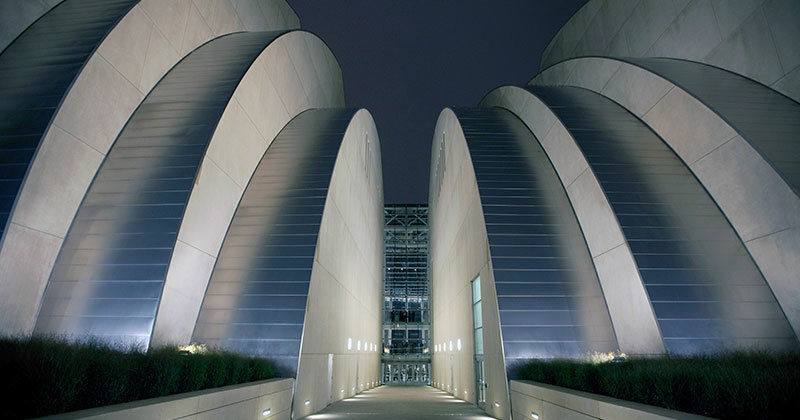 The Kauffman, which is also the new home for the Lyric Opera of Kansas City and the Kansas City Ballet, is the Moshe Safdie-designed building that will live among the most acoustically sound performance spaces in the world. "THERE'S AN ELECTRICITY OF 'ANYTHING IS POSSIBLE.'" Word of mouth led Time magazine critic Richard Zoglin into a seat at Copaken Stage, one of the two performance spaces where Kansas City Repertory Theatre challenges its audiences with a brand of original and classic theater that requires them to journey into the depths of creativity and expression. 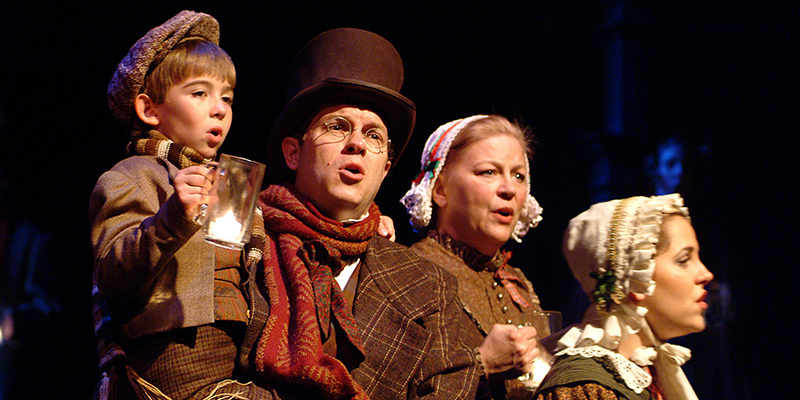 When Zoglin left the performance of the original hip-hop musical, Venice, co-created by KC Rep’s artistic director, Eric Rosen, he proclaimed it the best musical of 2010. This is the feather in the cap for the company that consistently recruits those residents of Broadway like Moises Kaufman, Gary Griffin and David Kroner to direct its shows. Those standing on the sidelines of the city’s creative renaissance are apt to notice that the most successful creative leaders are indeed the ones who are most daring. Reference Christopher Elbow, the Kansas City pastry chef turned chocolatier whose No. 6 Dark Rocks bar topped Food & Wine’s list of best chocolates on the continent. Nearly 10 years ago, Elbow challenged Kansas City to embrace a concept, Christopher Elbow Artisanal Chocolate, that celebrated chocolate as an artistic medium, and not as sugary, waxy “candy.” Today, his relentlessly perfect-looking bonbons are the culinary equivalent of supermodels, and year after year, they’ve walked the catwalk of magazines such as Gourmet, Bon Appétit and O, The Oprah Magazine. Elbow’s fans span the world. But one of them works down the street and is himself an artist whose resume includes that standard set of accolades and honors that define this nation’s best chefs. 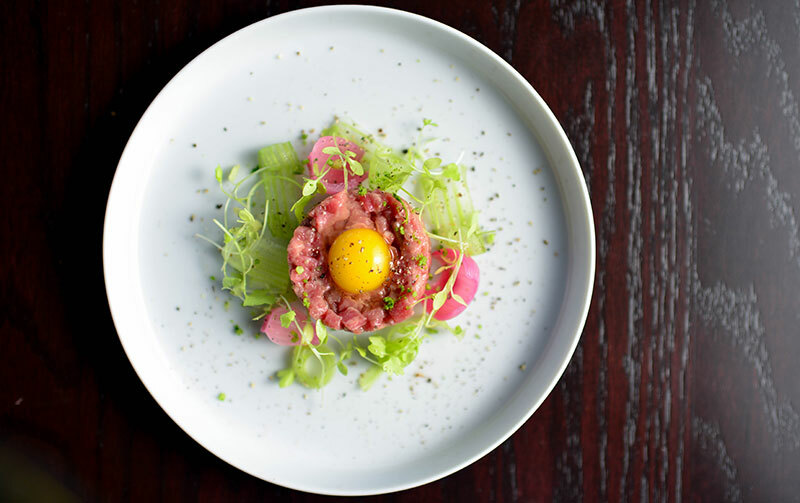 He’s Colby Garrelts, co-owner of Bluestem, and this year, the James Beard nominee and his wife, Megan, wrote a cookbook that announced a new movement in cooking: Kansas City Regionalism. This rib—it’s a symbol not just of an artistically driven culinary movement, but of a broader, more aggressive, region-wide arts movement—one that’s finding fans in unlikely places. Like in New York.